We can offer an extensive service through our recently re-developed abattoir which specialises in services for farmers, butchers and smallholders. We are more than happy to take small lots including individual animals. Welfare is our top priority and we aim to operate to the highest standards. Our team can de-bone and cut meat to our standard specifications or to your individual requirements, giving a more bespoke service. 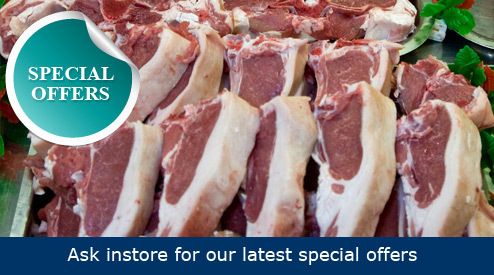 We also have facilities to hang meat ‘on the bone’ for up to 28 days. 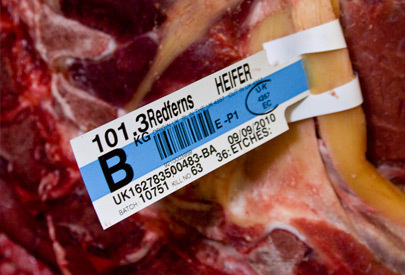 We understand that traceability is vitally important to our clients and customers that’s why we bar code all our products and have a comprehensive labelling system to ensure every pack of meat can be traced back to its original source. We can even personalise packs with your own information on the labels to help you with your marketing. If you require any butchery or slaughtering services, please call our team who are on hand to help.